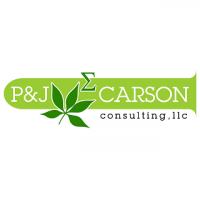 P&J Carson Consulting LLC (PJCC) provides innovative adaptive sampling design and advanced statistical modeling in order to reduce client cost, schedule and risk in brownfield cleanup and redevelopment. One of our specialties is spatial predictive analysis for unsampled locations. This can make remediation efforts more efficient and also give an indication of the probability that third party sampling of a property will produce unexpectedly high results. The same methodology can be used to estimate a probability distribution for the mean concentration of CoCs over specified parcels within a property. This is useful for closure/NFA of selected parcels so that they may be redeveloped even as characterization/remediation work on other parts of the property proceeds. PJCC also has experience with groundwater monitoring networks on large brownfield and military sites. Trend analysis or analysis to support Monitored Natural Attenuation (MNA) becomes increasingly complex as the size of the monitoring network increases. In a network with only 7 wells and 4 CoCs monitored and no actual concentration trends, there is more than a 50% probability that the standard statistical tests (parametric or nonparametric) will falsely signal an increasing trend in at least 1 well for at least one CoC each reporting period. These repeated false indications of trend can become very expensive and create their own impediment to site closure or NFA. This problem can be eliminated through the use of appropriate statistical analysis. In addition to statistical modeling, PJCC also provides sampling and analysis plan (SAP) development, quality assurance project plan (QAPP) development and third-party data validation services. Contact us to discuss your problem site today. Organization has not chosen any experience items. Specializing in environmental site assessment and environmental data quality management. Our specialty is developing innovative adaptive sampling designs coupled with advanced statistical modeling that reduce cost, schedule and risk, and improve profitability of remediation projects. We have extensive experience working on numerous Superfund sites, including brownfields restoration. Our principal statistician has 30+ years of experience in environmental cleanup with a track record of saving millions of dollars on remediation projects. Our unique approach to conducting site assessment employs statistical modelling to minimize potential for biased conclusions. Biased data is routinely collected in site assessment, because sampling used to delineate contamination focuses sampling effort on areas of higher concentration, and sampling for areas not known to be contaminated often focuses sampling on areas where it is believed that the potential for contamination is highest. Experience (36 years) with sampling design, statistical modeling and data analysis for site characterization, monitoring, remediation and closure. Experience with RCRA (site closure, detection monitoring, Part B permit, corrective action), CERCLA (43+ Superfund sites) and VAP. Also, years of experience with third party data validation (Level 2-4), SAP and QAPP development, Quality Assurance management and technical oversight. Highlights: Harrison Enterprises RCRA closure: developed T+2 test for comparing multiple analytes simultaneously to background; enabled closure and redevelopment at reasonable cost Dover AFB: sampling design and data analysis for settling contract dispute regarding construction debris between Versar and USAF; reduced cost by millions and schedule of site work by several weeks Freeport McMoRan: developed new adaptive sampling/statistical modeling design for clearance (NFA with no deed restrictions) of hundreds of large properties in 6 small towns impacted by smelter waste; saved millions and made cleanups and NFA feasible.